When first visiting Tokyo, I got to admit, I was a bit worried about the vegan food situation there. I had done some research before, read some posts in vegan Facebook groups, and everyone said that it’s quite tough as a vegan in Tokyo and Japan in general. 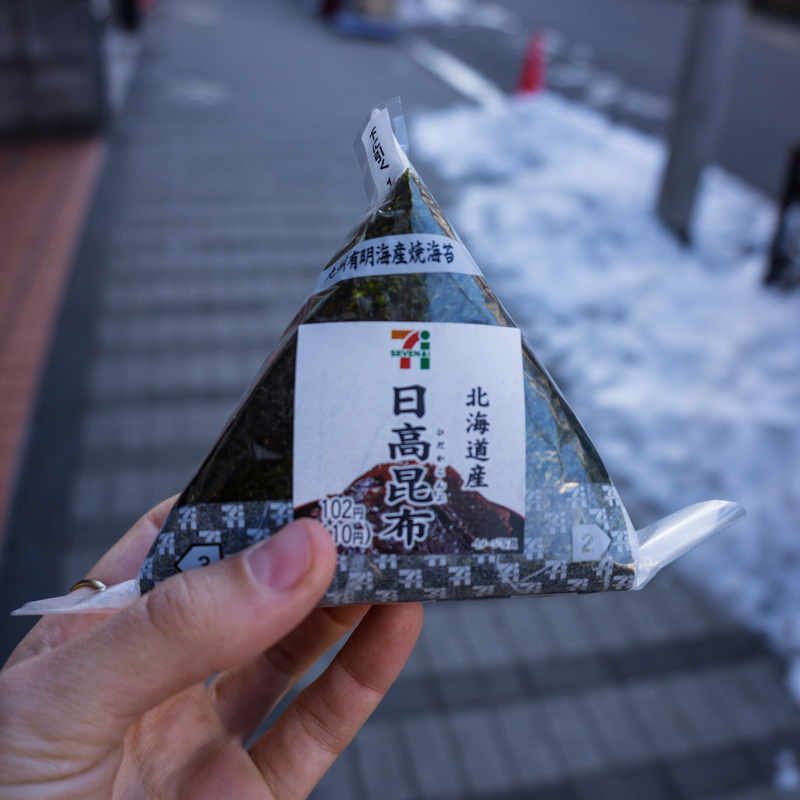 I came with really low expectations for food, and was prepared to survive on rice and seaweed for a week. 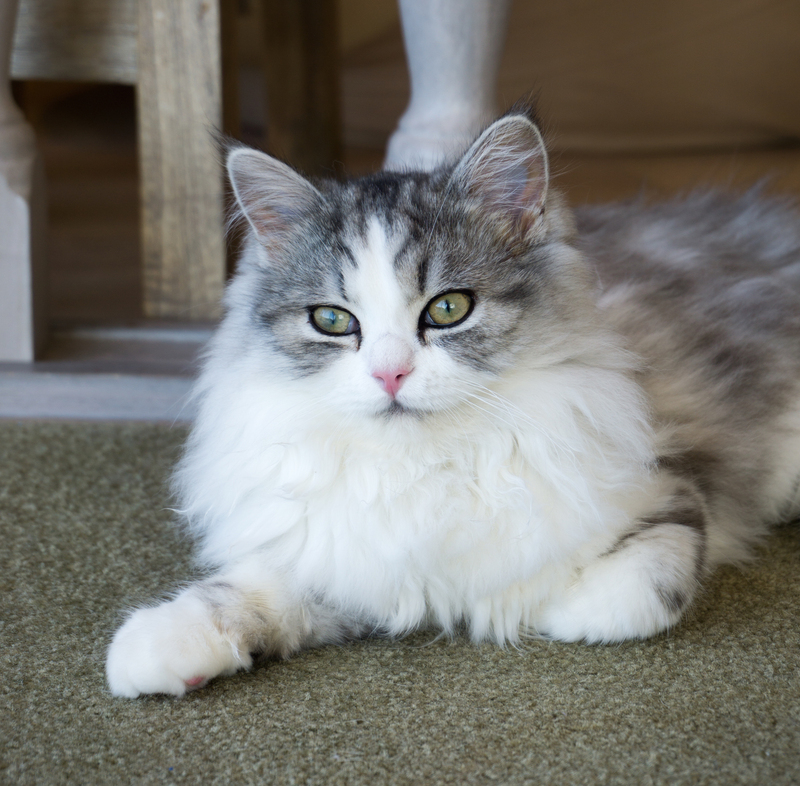 But, as it turns out, my experience was quite to the opposite and I was in for a real treat! 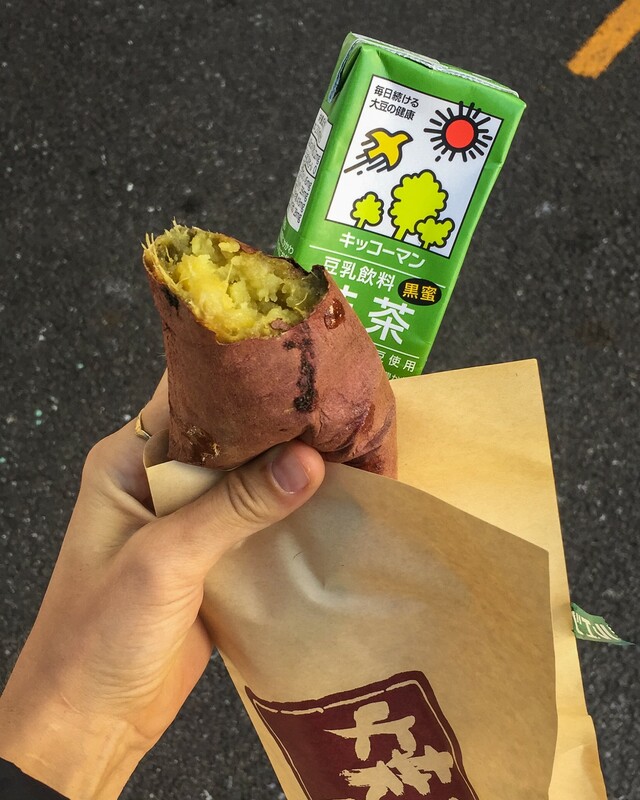 I was so surprised and honestly had one of the best vegan foodie experiences in Tokyo! I’m not sure whether it’s because I didn’t expect much, or because of the negative reviews I had read beforehand, but Tokyo absolutely blew my mind and I can’t wait to share my Vegan Guide to Tokyo with you! 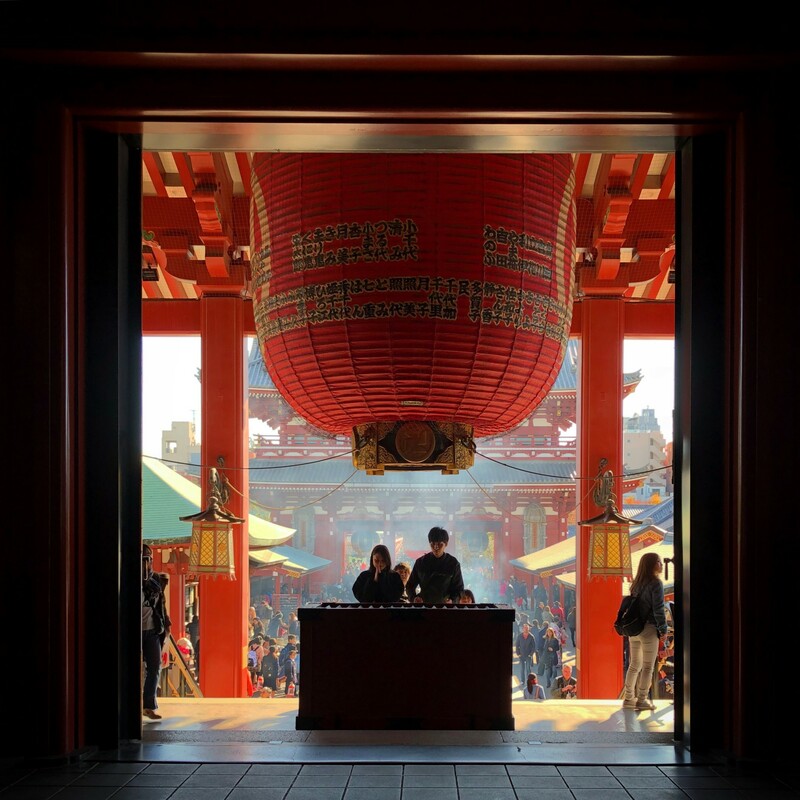 First of all, Tokyo and Japan are so much more than the food. To be honest, I didn’t really know what to expect of the people and the country. This one week vacation was planned quite spontaneously, for one because I wanted to accompany my boyfriend on his business trip there, and I needed to leave Thailand because of visa reasons. Hence, I didn’t really prepare myself a lot, but rather viewed it as a fun weather change from the tropical island paradise of Thailand. My knowledge of Japan was limited to anime, sushi, ramen, and the general stereotype that Japanese people are shy and very organized. I feel like Tokyo is one of those things that you just got to go and see for yourself, but I’ll try my best to put my experience in words. My overall take from this week in Tokyo is a huge admiration for the Japanese people and culture and I’m already planning my next longer trip to explore more of Japan than just Tokyo. 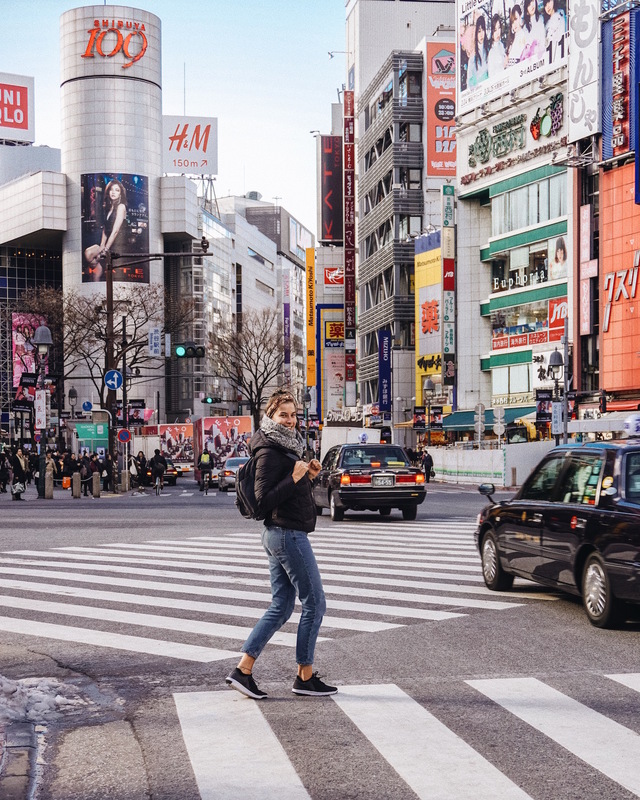 Tokyo is quite the expensive city so you’ll have to invest a significant part of your travel budget into accommodation. 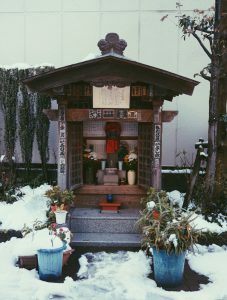 However, there’s a vast array of options, from staying in a very simplistic capsule hotel to sleeping on traditional Japanese bamboo mats and thin mattresses. 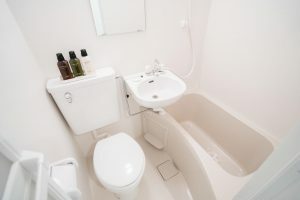 In general, I’ve found that most affordable options are kept quite minimalist and simple, yet extremely clean and pleasant. 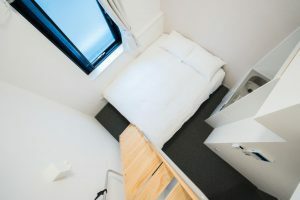 Surprisingly, a lot of the more affordable capsule hotels are oftentimes separated by gender – which might be a great option for either solo travelers or a couple of 2 men/women! Reinvented capsule hotels, also called pods, attract tourists and Tokyo locals who need a hip and easy place to rest. 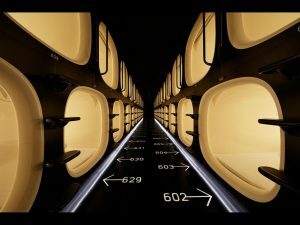 Due to a lack of space in this metropole, capsule hotels have increasingly gained prominence as a low-budget, simplistic accommodation alternative. This is a brand new hotel with very comfortable, Western-style beds. 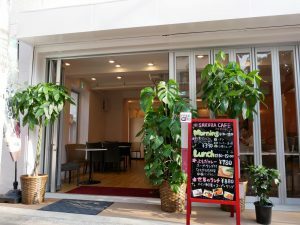 Located on a small, quiet alley north-east of Shinjuku station, which is a great location if you want to be more in the center. Very welcoming staff. 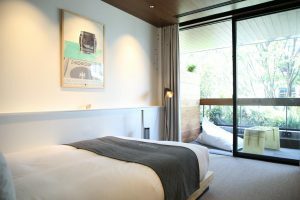 The rooms are quite compact, but overall excellent value for money. No TV in the rooms, instead you have a small projector to plug in your laptop, which is a nice idea. Beautifully designed hotel with a very relaxing vibe. Fantastic staff and service. 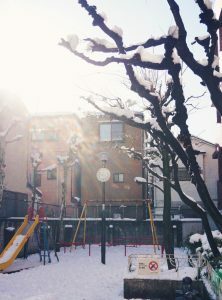 Great location in the heart of Shibuya but still a little secluded and quiet. Lobby cafe/bar has a great vibe and rooms are very spacious for Tokyo. If you have the necessary change to stay here I’d highly recommend doing so! We stayed in this simple but lovely Japanese-style hotel in Nippori and were really happy with our choice. 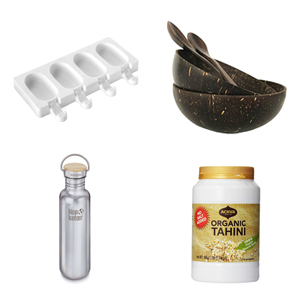 It’s nothing fancy, but kept rather minimalist and simplistic – yet you’ll find everything you need. 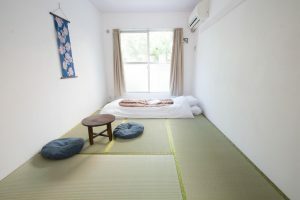 Japanese style meaning a very simple room with bamboo mats, 2 simple thin mattresses on the floor, 2 pillows and a small table to sit at. Very minimalistic, but all we ever needed and surprisingly comfortable. Also, the shared bathroom facilities were extremely clean and there are plenty so you never have to wait in line (+ heated toilet seats). While Nippori is a bit further outside from the touristy down town, it’s very easy to move around via metro. 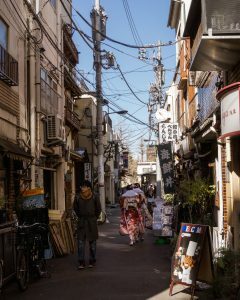 We actually preferred being a bit further away from the downtown chaos since it gave us a little glimpse into ordinary Japanese life. Amazingly enough, the day we arrived it started to snow really heavily (apparently doesn’t happen that often), which turned the streets of Tokyo into a beautiful winter wonderland. 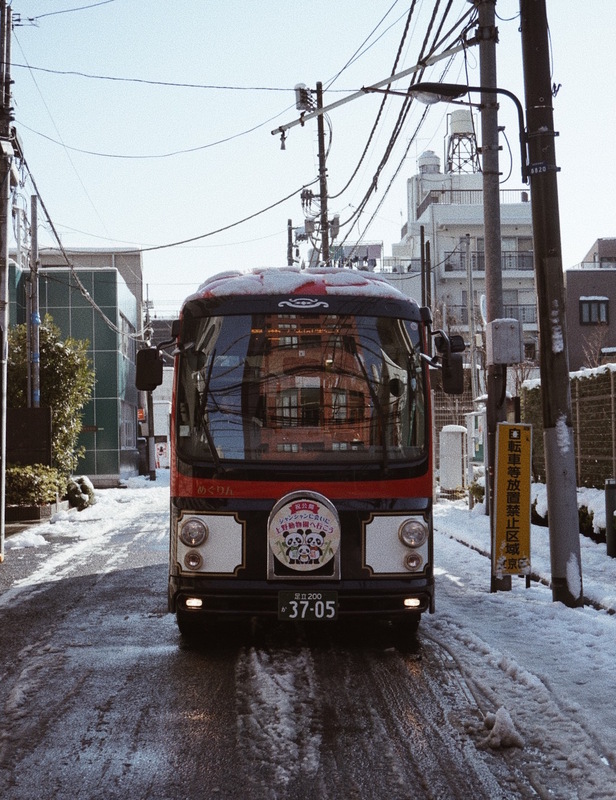 Now imagine small, very clean streets, with harmonic Japanese music playing from speakers, people riding their bikes, or waiting in line at the next food stall for some warming soup. As I said, it’s something to experience for yourself. Now, on to the important part – food. I think one of the biggest contributors to my great experience was my own ignorance. Only later I found out that plant-based cooking actually has a long tradition in Japan. Although love of seafood was always pretty dominant in Japanese culture, it wasn’t until the end of the 19th century that red meat and the mid 20th century that dairy were introduced from the West. 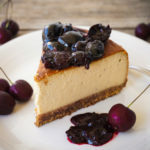 Hence a traditional meal would consist of mainly rice, beans, seaweed and vegetables, and a lot of traditional dishes are actually vegan, or can easily be veganized. Plus, there is a special mostly vegan cuisine called ‘shojin ryori’, which the Zen Buddhist monks are eating and have been following since the 13th century. As mentioned earlier, I really wasn’t very familiar with Japanese culture, including cuisine. When it comes to food, all I knew of was sushi (what we call sushi in the West) and ramen. That was about it. If you’ve ever been to Japan before, you’ll probably smile right now, as the Japanese cuisine offers so much more than that. 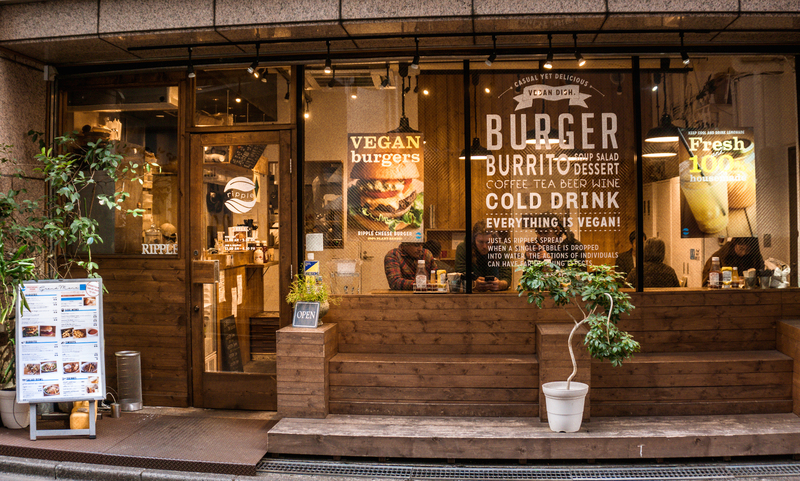 If not, the following Vegan Guide to Tokyo will give you a little glimpse of all the awesomeness to expect in case you decide to travel there. 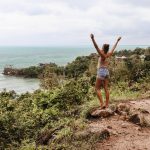 While you can find many more places, these are my absolute favorites and well worth a visit! Of course I didn’t visit every vegan restaurant in Tokyo, hence I’ll add a list of the ones I didn’t try below. 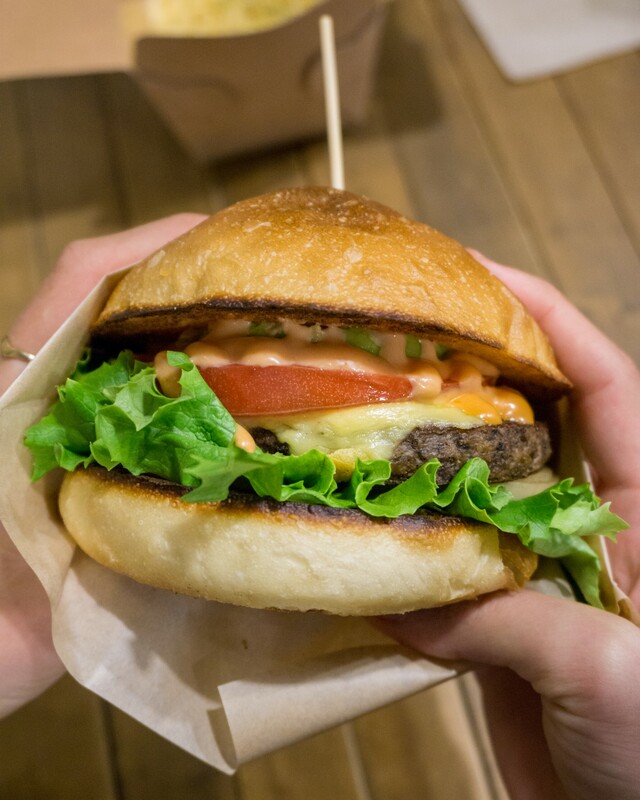 An amazing and really fun way to explore the vegan and organic food culture in Tokyo is joining a local food tour for vegans and vegetarians! 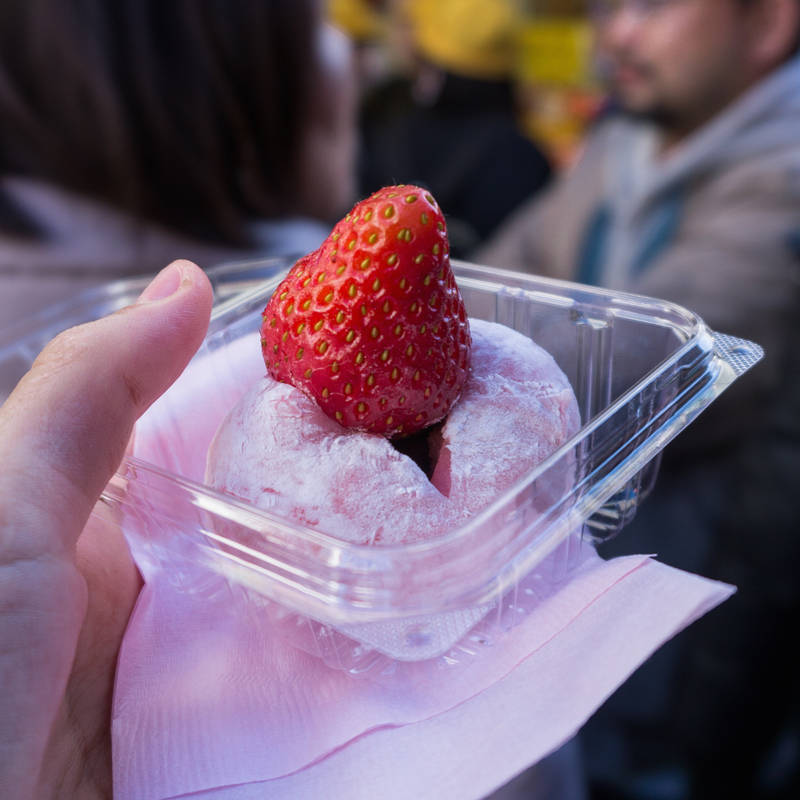 Especially when it comes to trying traditional Japanese food, a vegan food tour with a local guide is such a great way to experience authentic dishes and find restaurants that provide food that is in line with your dietary restrictions. 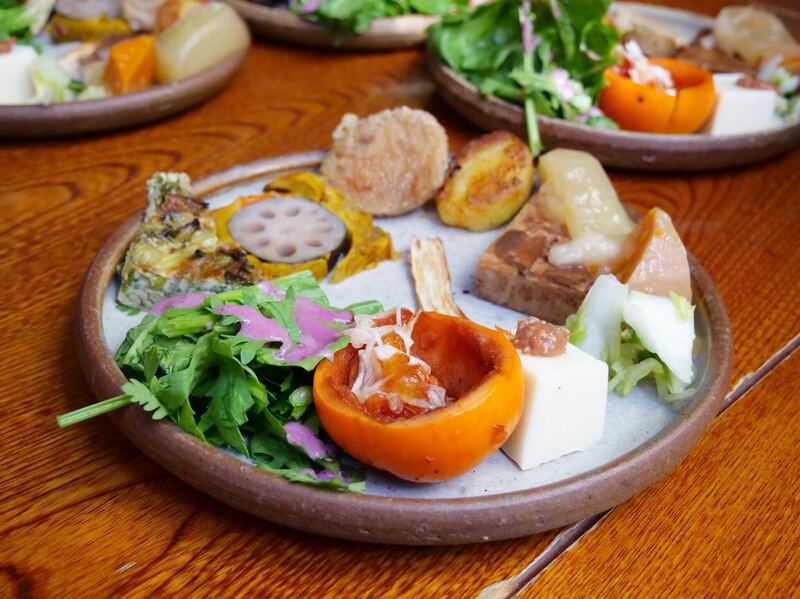 Magical Trip offers a completely Vegan & Organic Food Tour in Tokyo, and is considered to be the best food tour for vegan, vegetarian and organic foodies! 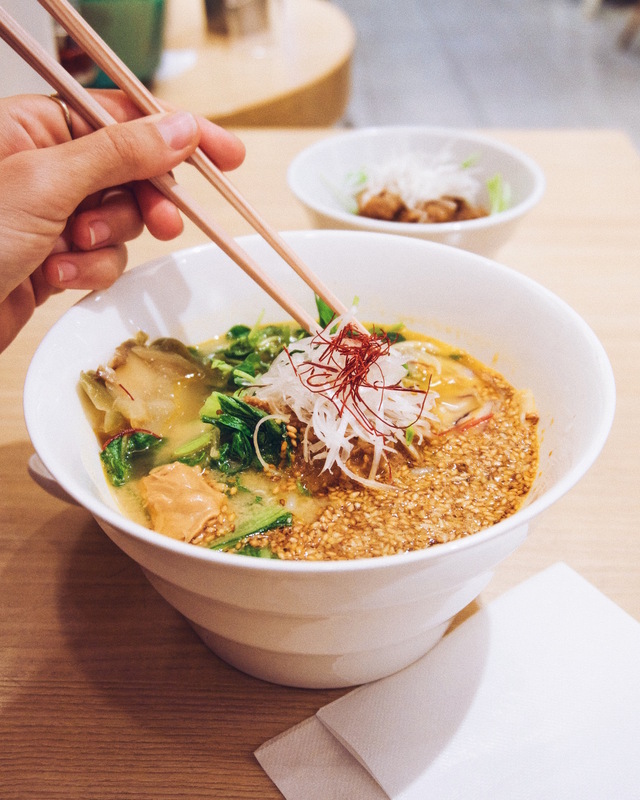 From traditional Japanese sweets, to Vegan ramen and local farmed vegetable plates – you’ll get an amazing 3 hour glimpse into Japanese delicacies and an unforgettable food experience during your stay in Tokyo! 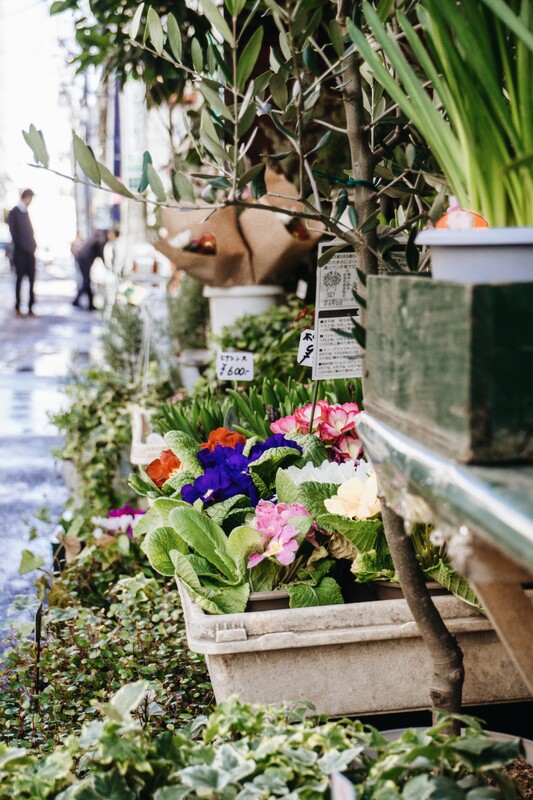 Join the Vegan & Organic Food Tour by Magical Trip and explore Tokyo’s hidden vegan and organic eateries! Best vegan ramen. I tried the golden sesame peanut butter ramen (¥880), which is filled with delicious flavours and just so so good, but I’ve heard that the black sesame ramen is even more special! I went for lunch and the place was crowded with locals getting a quick lunch break. Do yourself a favour and also order a side of the Asia fried chicken (¥350), it’s really really good! Little tip: it’s best to get there by actually taking the metro to Tokyo station. Once you arrive, do not leave the station. The restaurant is located inside the station, hence I learned the hard way that if you’re coming from outside, you have to buy a metro ticket to get inside and actually eat there. Best vegan junk food in town. Seriously, this place is vegan burger and comfort food heaven. Ain Soph is a chain that has several vegan restaurants in Tokyo, each with different menus and specialities. Ripple is definitely vegan paradise if you’re looking for burgers, mac ‘n cheese, fries, burritos and everything good in life. I’ve had the cheeseburger (¥1150), which was crazy good, and the mac ‘n cheese and fries (+¥200), which were both amazing. The food was definitely on the heavier side and I literally rolled out of that place, but so so worth it! 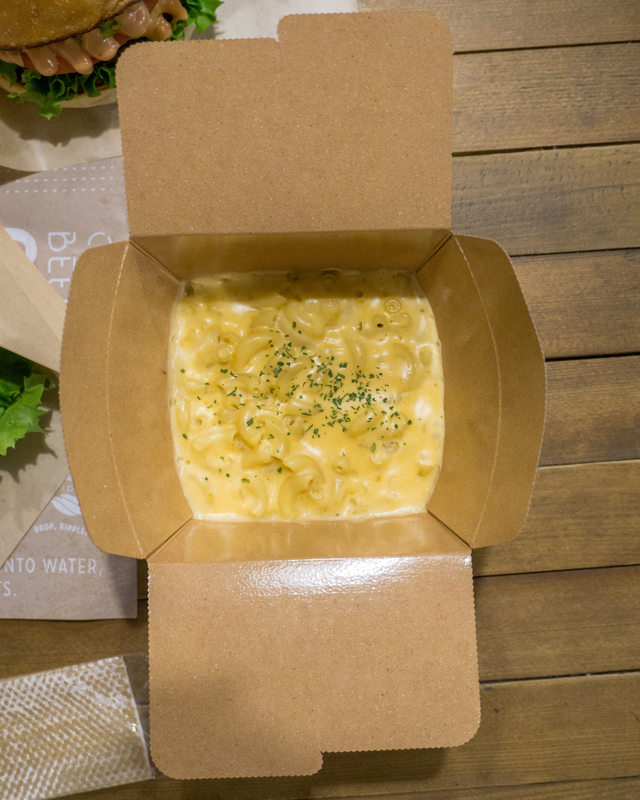 I mean, just look at that cheesy goodness right there! This restaurant is the sister restaurant of Ain Soph Ripple but with a very different menu. 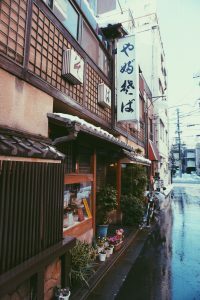 It’s not far away from Tokyo station, so theoretically you could start your day with breakfast here and then enjoy ramen for lunch at T’s Tantan… you know, theoretically speaking. 😉 Make sure to try their pancakes if you make it here – they crazy fluffy and so so good! 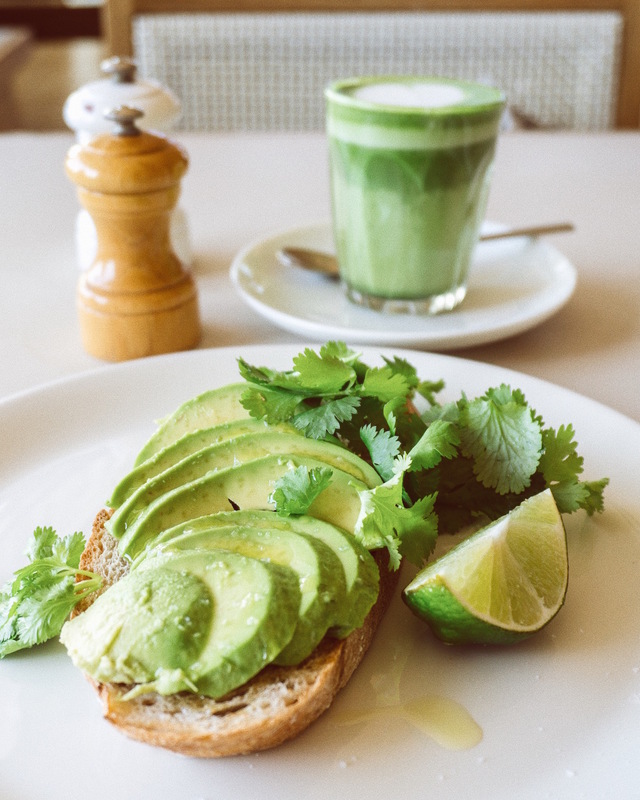 Talking about breakfast, if you’re in the area and looking for a great avocado toast (¥1200) and almond milk matcha latte (¥950), make sure to visit Bill’s in Omotesandō. It’s located on the top floor of the Tokyo Plaza, and offers great views plus an inviting and relaxed atmosphere to enjoy breakfast. They also have really yummy vegan granola bowls with coconut yogurt and fruit! 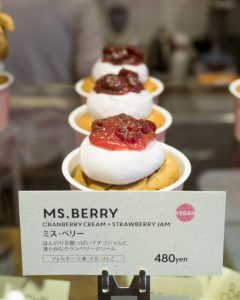 A Japanese-owned, California-inspired healthy restaurant, located in the buzzing streets of Harajuku. 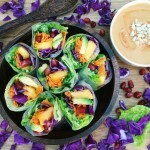 This place is an ideal spot if you’re craving a burger, salad, green smoothie, big healthy sandwich or feel like treating yourself with some yummy vegan desserts. The portions are quite large and the menu clearly specifies which dishes are vegan! A beautiful place with delicious high-quality food. 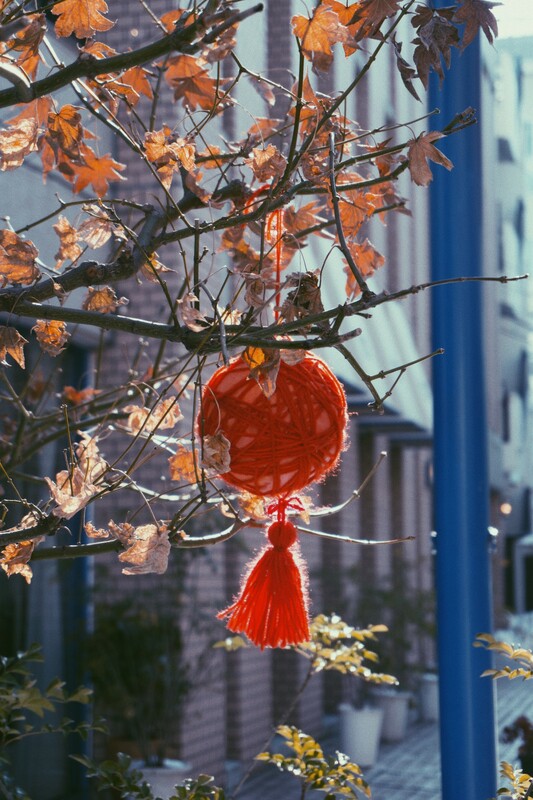 During the warmer months you can sit in their courtyard and enjoy the sun while eating wholesome, healthy food. 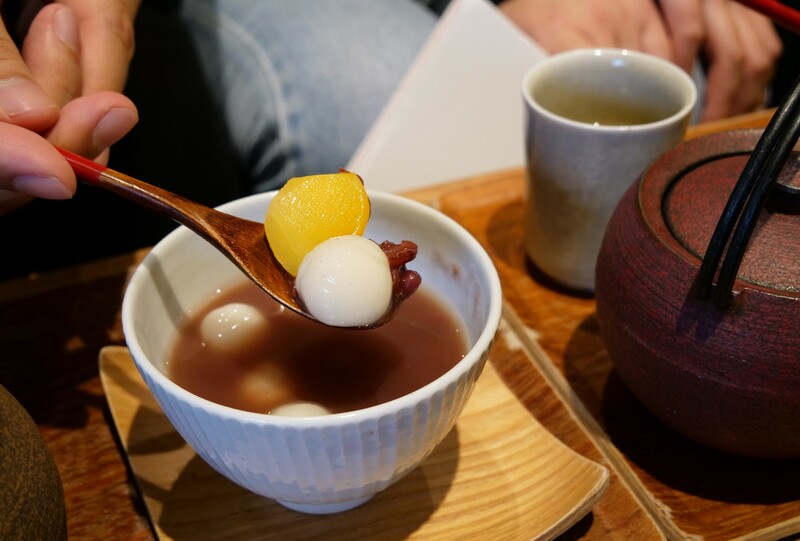 They offer a very basic menu with delicious lunch sets, having most of their dishes revolve around brown rice, with a mixture of fresh local veggies, tofu, the option of hot/cold tea and delicious desserts made from brown rice amazake. Having a sudden sweet craving? 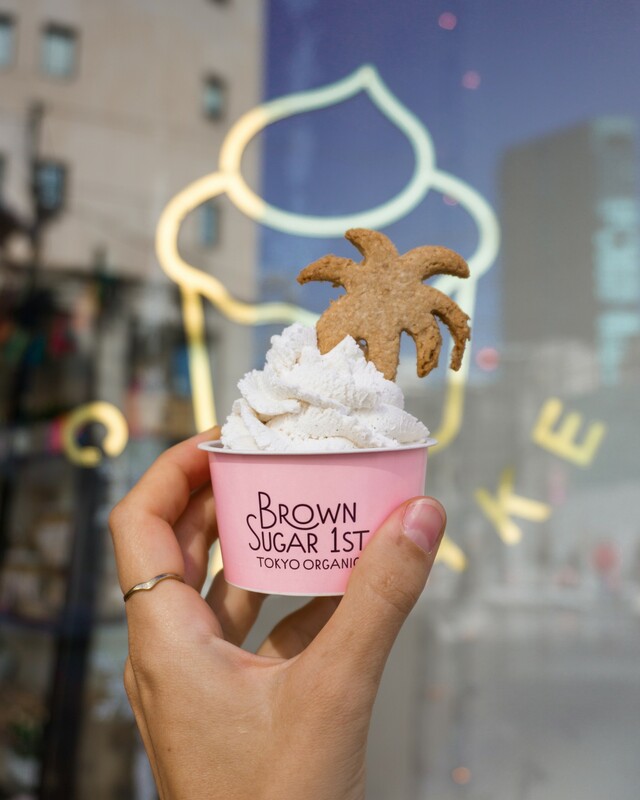 Brown Sugar 1st got you covered! 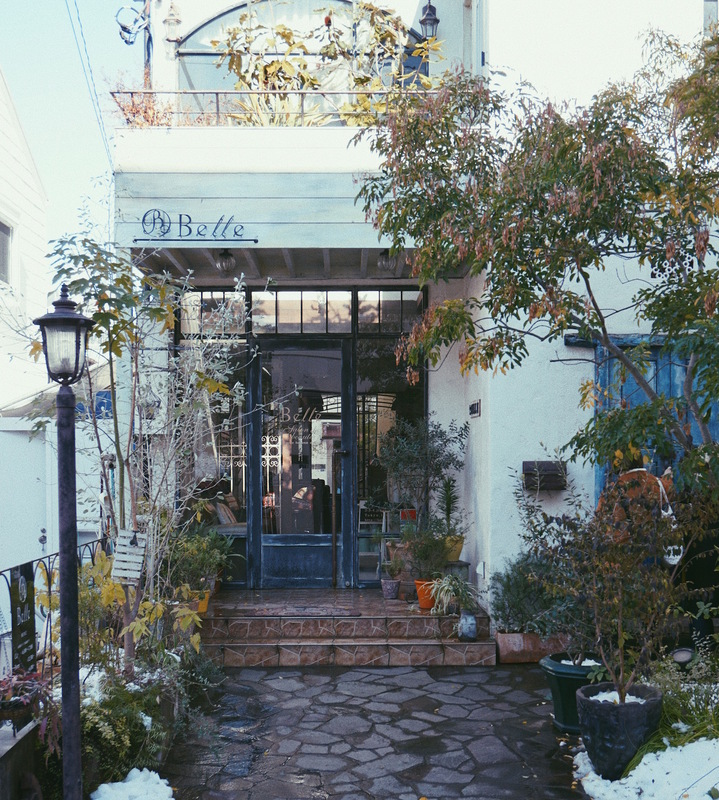 This is a sweet little gem, located in the buzzing district of Harajuku. 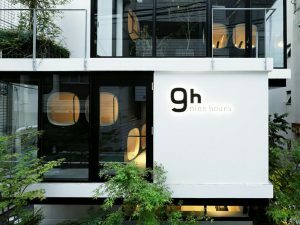 If you’re feeling a bit tired after walking the lively streets of Harajuku, this is a great place to recharge. They offer a selection of mouthwatering vegan cupcakes, teas and coffees for a quick pit stop. I’ve tried the coco vanilla cupcake, which was divine! The other ones looked really amazing too though and I’d definitely come back to try them all! Yes, you’ve heard me right. 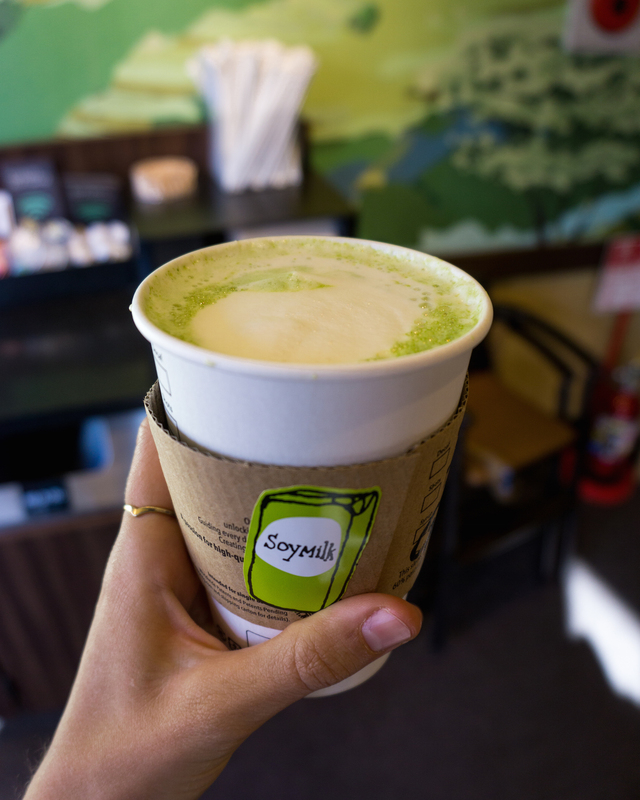 While I’m not a coffee drinker and would probably avoid Starbucks in any other country, in Japan, they actually have one of the best soy matcha lattes I’ve had so far! Plus, they have a few other vegan snack options like sea salt potato chips, sugar & cinnamon spice sticks. 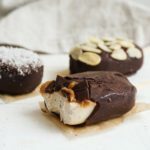 They actually used to have a vegan doughnut but don’t stock that one anymore – so for good vegan doughnut options check out Arnold’s Donuts in Kichijoji, and Good Town Doughnuts! Just in case you’re missing some good old vegan flavours from the West, Hanada Rosso has got you covered. 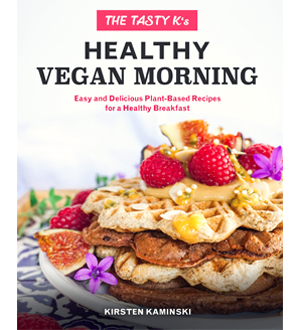 It’s a vegan hot spot that serves delicious vegan burgers and other goodies, plus they have a shop inside the store where you can find some vegan cookbooks, etc. Finding fish free sushi is actually not that easy in Tokyo, as in a lot of places they just drizzle those bonito flakes or fish-based dashi on everything. 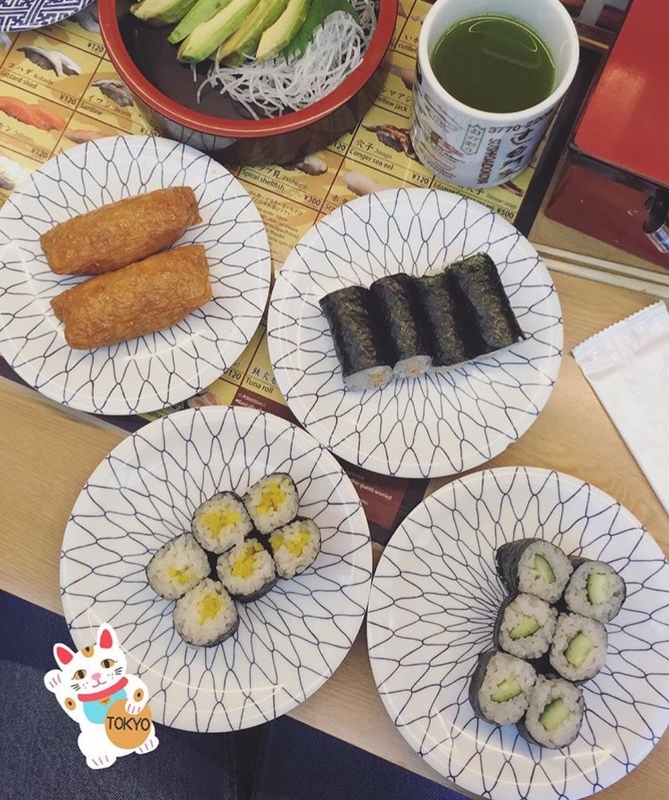 But, luckily one of my vegan friends showed me this really cheap, traditional sushi place that has a variety of vegan sushi options – hell yeah! We ended up ordering a bunch of maki rolls filled with avocado, cucumber, fermented soy beans, radish, plus some extra portions of avocado sashimi and inari (marinated tofu pockets). Best thing about this place, you see the sushi being prepared right in front of your eyes, and there’s an endless supply of green tea. Also, it’s super cheap! 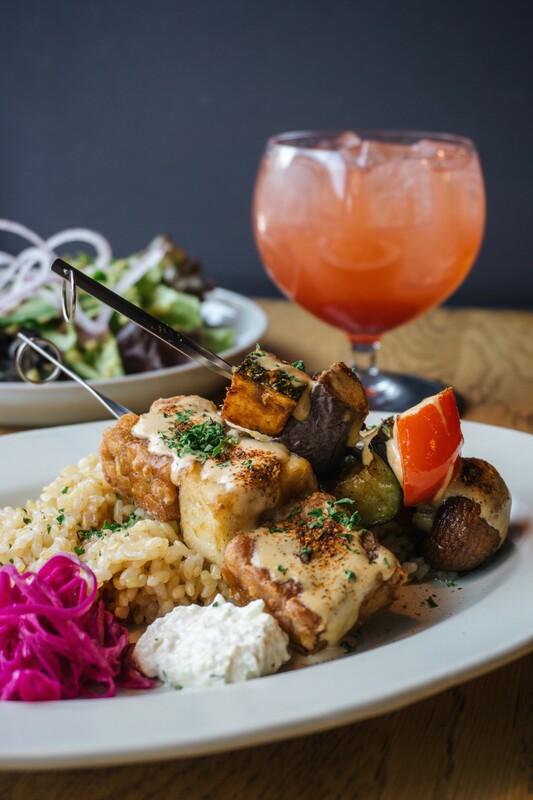 Located in a neighbourhood that’s known for its hipster and art scene, Nagi Shokudo combines a unique atmosphere with delicious vegan food. It’s a favourite of many local vegans and the perfect place for a quick and quiet lunch, enjoying one of their yummy lunch sets. They offer a good variety between vegan Japanese dishes like miso, pickles, etc. and other delicious dishes like curries, falafel, and more. A small little gem selling an array of vegan goodies. 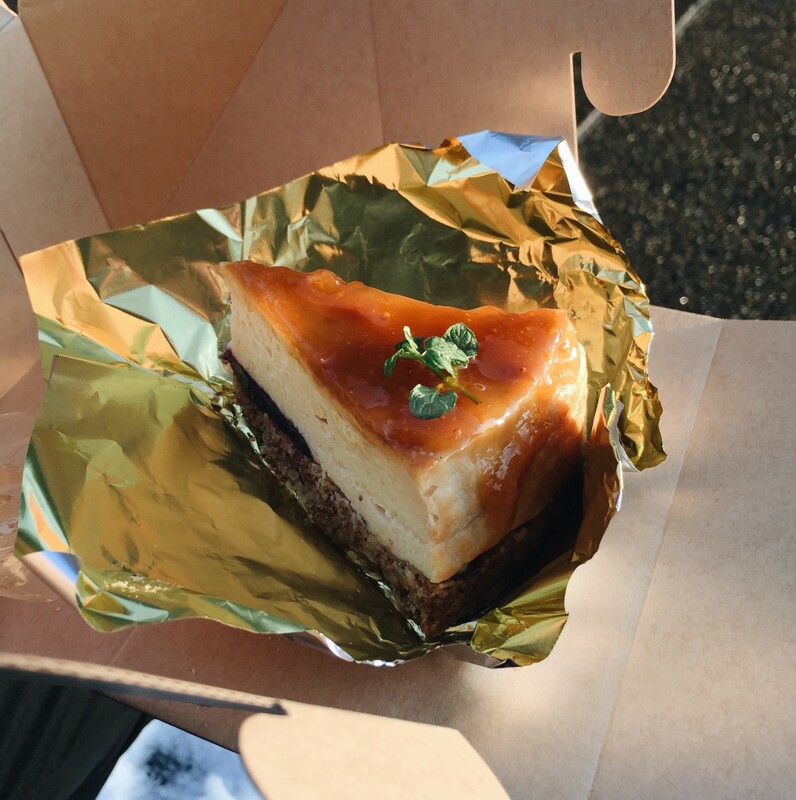 If you’re in the area, they have some delicious vegan cheesecake and soft serve ice cream (only in summer though). Possibly one of the best things about Japan are its 50,000 convenience stores. 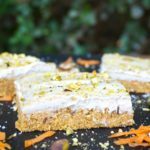 Whenever you’re in need of a little vegan snack or a full on vegan meal, they’ll save your day! My favourite ones are Seven Eleven, and Lawson (and Natural Lawson). You can literally find them on every other corner, which is more than convenient. Surprisingly, they became my go-to breakfast and snack option on many days. Check out this page for more detailed info and pictures! Now, apart from the convenience stores, there are always bigger supermarkets around the city, my favourite one being Maruetsu. 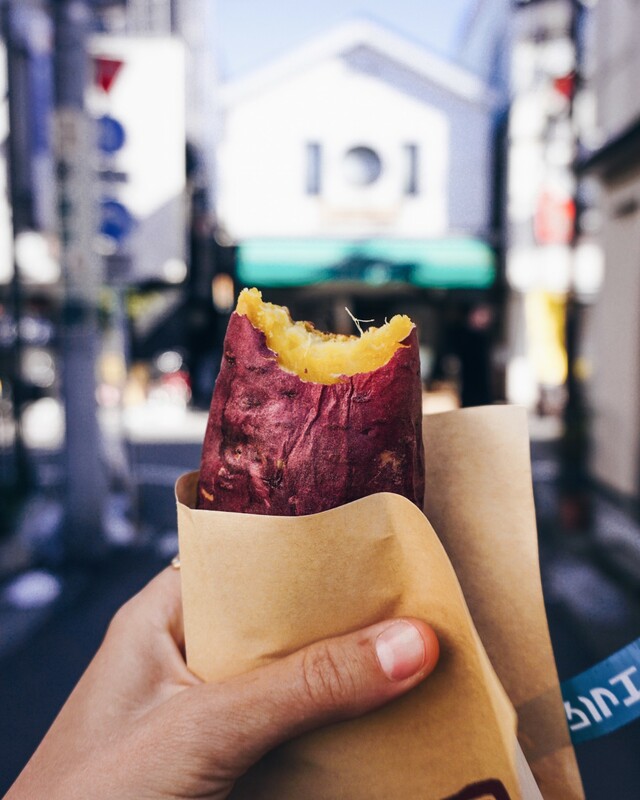 There you can find, most importantly, freshly baked sweet potatoes, which are life changing if you never had the Japanese variety! 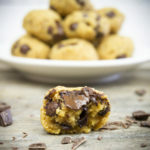 Tastes like warm gooey pudding rather than a potato and is naturally super sweet! This was probably my breakfast most of the days (super cheap and crazy tasty). They also have a big selection of plant-based milks, ranging from soy to almond and rice with different flavours. 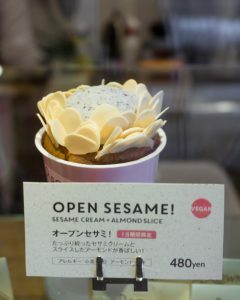 I like the soy matcha and soy banana ones very much! 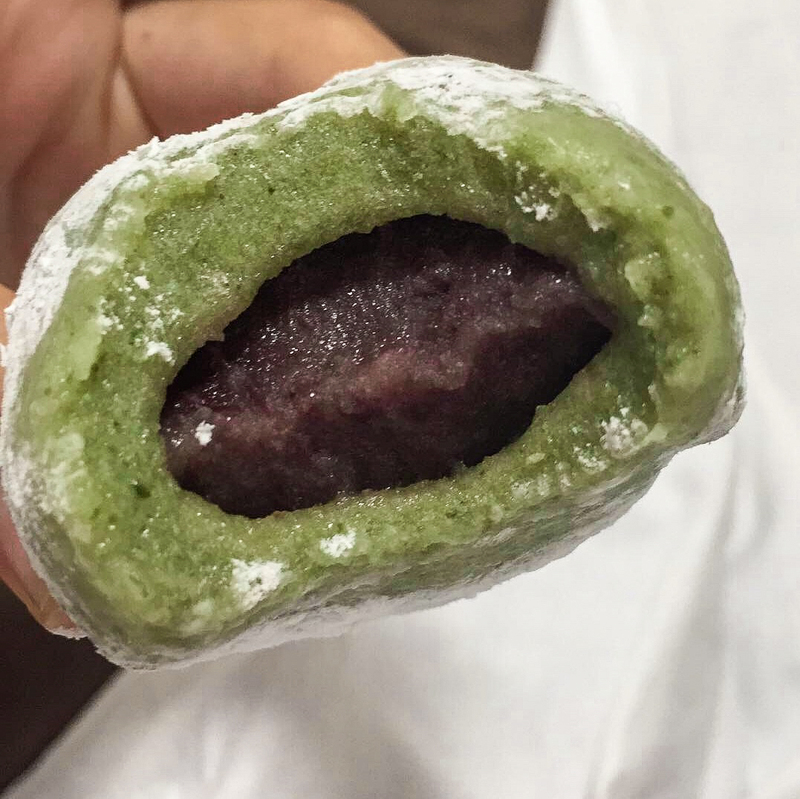 Apart from that, the bigger supermarkets also have more interesting mochis like matcha mochi, or strawberry daifuku, which are very yummy. 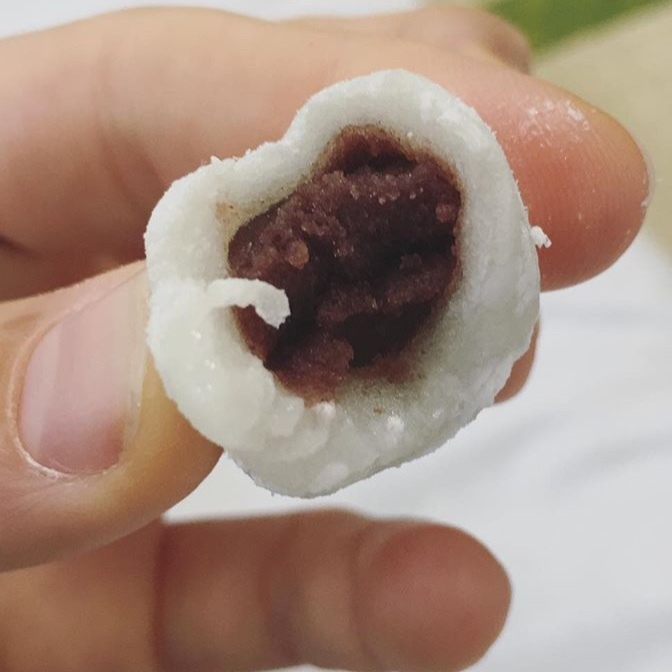 I definitely became slightly mochi obsess during those 7 days and am already craving them, now that I’m back in Thailand! This is so helpful thank you! My sister and I are going to Japan next month!! Thank you for making this! You’re amazing! Thank you so much , we have been struggling with finding options. We have just stuffed our face at Sushi Daidokoya with all the vegan sushi. 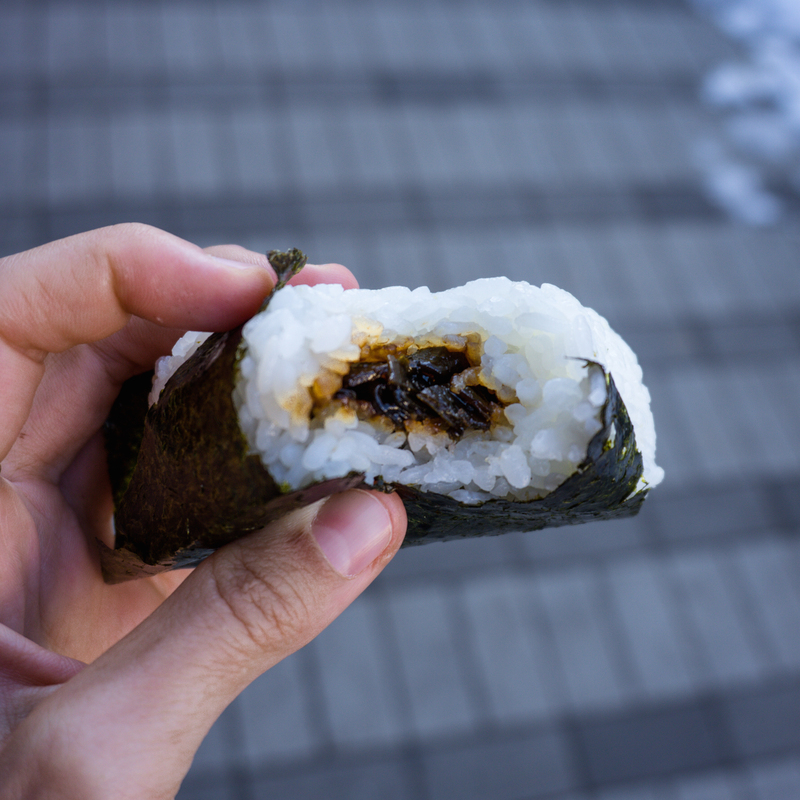 Just be aware that most combini onigiris contain fishstock even if they seem vegan! This has been s life saver, thank you! 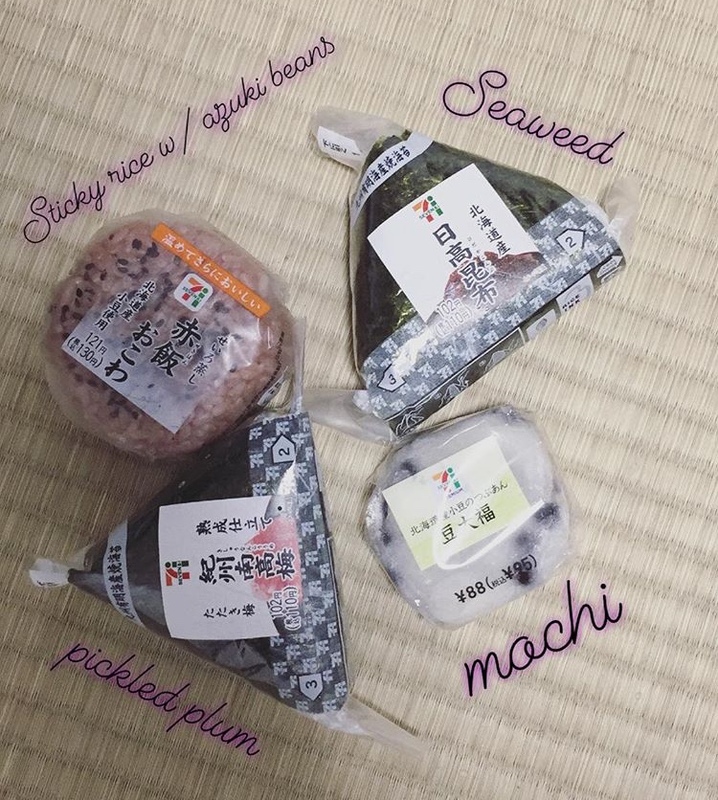 As a vegan with an egg allergy I was really petrified about what’d I’d be eating in Japon during my trip, thought I’d have to pack my suitcase with food from home. Will definitely be trying out all of these. Thank you! This is super helpful, thank you so much! I’ve been to Japan once before I was vegan, and was lightly worried about how I would fair this time around. Upon doing research, I’m seeing that it’s not going to be all that difficult and I’m really excited to go back! PS Not sure what area of Thailand you are in, but Chiang Mai was basically heaven for eating out as a vegan!